Oh, my dear friend. How I’ve missed you…know what?! Star Wars turned 40! Let’s celebrate FOUR DECADES of wit & wisdom from a Galaxies far, far away with fans here (few may be at their early adulthood now). When the Sci-Fi Comics broke all the records by STAR WARS, an epic space of compositions and portrayed it adventures of heroes when Clone Wars started a long time ago in a Galaxy far, far away…Where’s only POWER! Unlimited Power! We all know how Star Wars changed the era of POP Culture, and smashed the cinematic Universe as successful movie-based comic 40 years ago. According to Fan’s judgment and portrayal reason behind Star War’s obsession is, Siblings revelry of Luke and Lea, Reflections of bad, Reprises, mixing of elements of old EU with the new Canon, A Star to Steer/ fusion with star gate and The Double Agent Vader. 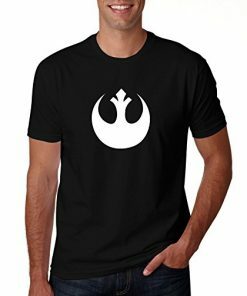 No matter how long you’ve been Star Wars FanFic addict to new genre, Customized Star Wars shirts remained highly demand for new designs. So, offered t-shirts designed according to demand with trustworthy services, delivery on time, secured transactions, Quality Fabric with all colors & sizes, washable printing available at discounted prices. 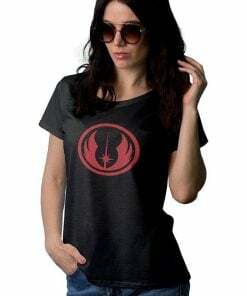 So, Get your Star Wars t shirt before the stock get sold out!